The clash between Sweden and England will be played at the Cosmos Arena in Samara on July 7th. 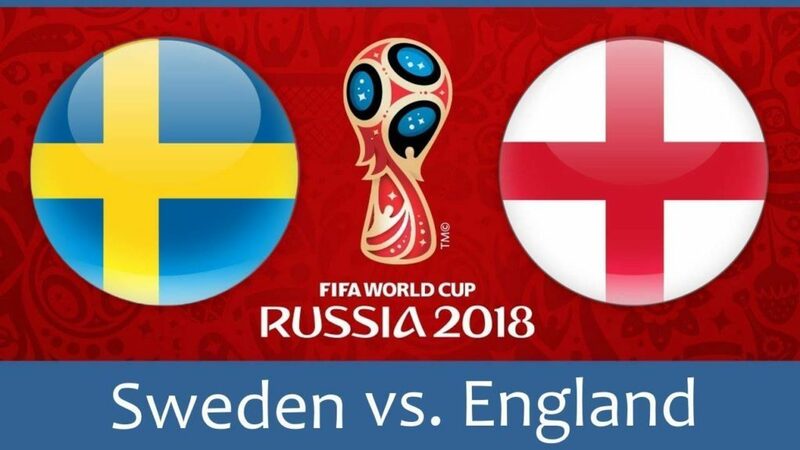 These rivals met on 12 occasions since 1988 including four at the World Cups and Sweden has a better record at the moment, so they will try to upset England, but the Three Lions are hoping to make it to the finals for the first time since 1966. Sweden ended in the first place of the group ahead of Mexico and Germany thanks to a big 3-0 victory over the Tricolor in the third round, and nobody expected them to top the group with the reigning champions. They continue with overachieving in the Round of 16 with a 1-0 win over Switzerland, and the Blue-Yellow deservedly reached the quarter-finals for the first time since 1994. Sweden kept the clean sheet in three of four matches so far; only the Germans managed to score two against them, and although they suffered a late defeat to Germany, the Swedes responded excellently against Mexico and later in a tilt with the Red Crosses. On the other hand, England didn’t have problems in the opening two games at the tournament, but they decided to settle with the second place in the group behind Belgium in order to be handed a place in an easier part of the bracket. That almost proved to be a mistake when Yerry Mina scored an equalizer in the 93rd minute against Colombia, but the Three Lions broke the penalty shootout curse and recorded their first-ever penalty shootout win at the World Cup, so they are quite optimistic about their chances here in Russia. Emil Forsberg finally showed his quality in a tilt with the Swiss following three pale displays in the group phase, which he finished without a goal or assist. Forsberg’s shot deflected off Manuel Akanji to give Sweden a lead and a winner so he was directly involved in the only goal in the game. Leipzig midfielder’s confidence is surely boosted with that goal and he will continue to improve on this one. Harry Kane already scored six goals at the World Cup, and although three of those came from the penalty spot, Tottenham’s striker has a chance to become the first English top scorer at the World Cup since Gary Lineker in 1986. Romelu Lukaku is behind him with four goals, but Belgium is facing Brazil, so Kane will have a relatively easier job against Sweden. Sweden: Olsen; Krafth, Granqvist, Lindelof, Augustinsson; Ekdal, Svensson, Forsberg, Claesson; Berg, Toivonen. England: Pickford; Walker, Stones, Maguire; Trippier, Alli, Henderson, Lingard, Young; Sterling, Kane. Sweden’s chances to win the World Cup are now +2500, while the Blue-Yellow is +700 to reach the finals. England’s chances to win the World Cup are now +450, while the Three Lions are +150 to reach the finals. England is a favorite at -105, and although they lost the previous H2H tilt when Zlatan Ibrahimovic scored four goals in Sweden’s 4-2 victory in a friendly, all four tilts at the World Cup before ended without a winner. That could be the case here as well, but I am giving a slight advantage to the Three Lions.